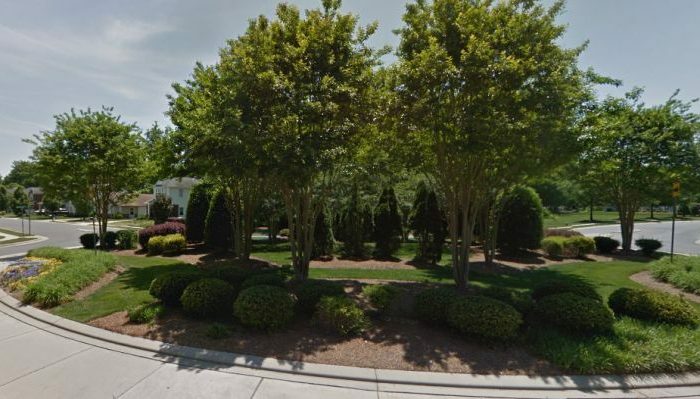 A 9-year-old North Carolina boy who was running a lemonade stand was robbed at gunpoint on Aug. 5, officials said. The boy was selling lemonade in Monroe, about 25 miles from Charlotte, when a teen approached him and pointed a handgun at the child’s stomach, demanded money, and then ran away, said the Union County Sheriff’s Office in a news release on Aug. 5. “The boy was allegedly approached by a teenage black male suspect wearing a [camouflage] hat and black shirt. The suspect allegedly stuck a black handgun to the boy’s stomach, demanded money and fled the scene on foot,” the office stated. Officials said they believe the suspect left a bicycle and walked from there to the lemonade stand before the robbery took place. Neighbors told WSOC-TV in Charlotte that the boy went back out and began selling lemonade despite the robbery. They said that he relocated the lemonade stand to another location. “If he’s trying to have some kind of goal, maybe the people of the neighborhood could chip in and help out, reward some hard work,” neighbor Lou Armada told the station. “I’m often seeing the young man selling organic lemonade,” Robert Pendleton added. “In today’s world, people are very bold,” Union County spokesman Tony Underwood said, lamenting the crime, according to WSOC-TV. Underwood added that only $20 was stolen from the boy. The suspect hasn’t been located. Those with information that might assist detectives in this matter should contact the Union County Sheriff’s Office or Union County Crimestoppers.